Jordan delivered their first HPC item to their Customer’s site on 16th August – a mock-up of the Pile Sleeve configuration for testing. Nick Brook, Head of Projects said “This is an important day for Jordan. 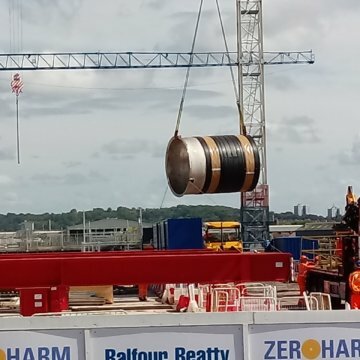 This project has been a lot of hard-work for many people over recent months and years, and it is great to see the first item shipped out on-time”. Further items for the overall head assembly will be delivered throughout September.